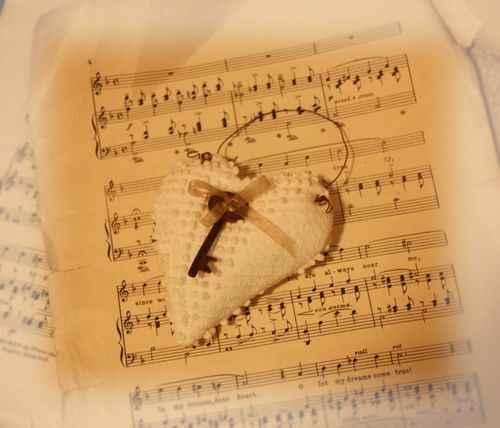 How sweet is this little heart made out of vintage chenille and an old skeleton key! I love the textures involved. Each year I try to craft a new Valentine’s Day creation to add some warmth and LOVE to my home. 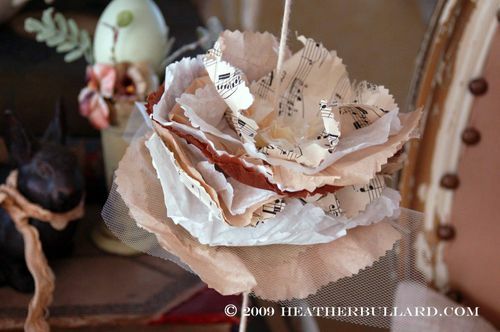 On my mantle I have and old red egg basket filled with this fun paper garland that I made a few years ago. The idea came from Pam Garrison on the Heather Bullard website. 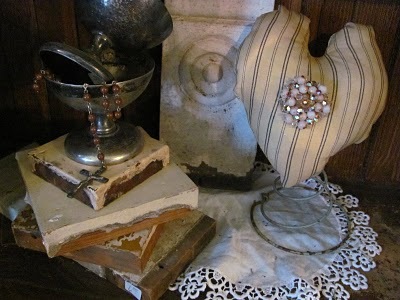 I will show my 2013 Valentine’s Mantle soon…just a few tweaks I am still working on! The above photo comes from Brenda at JB Knacker! A rusty old bed spring adorned with a homespun heart with some added bling in the center…my guess is an old brooch or earring. She is one fun gal with AMAZING talent! Her store is right here in IOWA! The quaint little town of Gilbert. 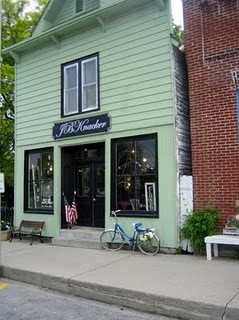 Here is a photo of exterior of her shop….how darling is this!? Hope this post will get your creative juices flowing and help to create a warm, cozy & loving home for Valentine’s Day!